Hot & Steamy is the theme of the 2nd book of Lori’s amazing series, and I cannot wait to for the rest! Jack keeps Ronnie on her toes throughout with his friendly demeanor and sweet disposition. But don’t be fooled, because there is lots to look forward to underneath! Jack will keep everyone swooning from the first page to the last! As a great extra layer, our four-legged friend Howler gets a great new sidekick which adds a different dimension to the story. This is one of my favorite things that Lori includes in her books... the depth of adding pets the story-line. Don’t miss out on another perfect piece from one of my favorites! 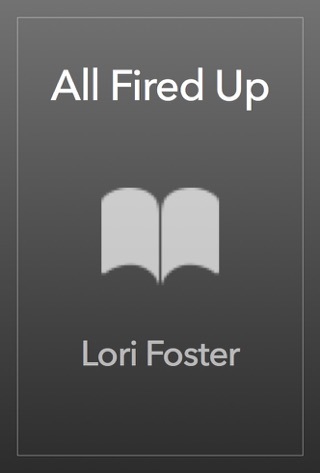 Must be another amazing Lori Foster book! One can always count on some laughs, gasps, awwwws & love in her books! Another winner! Hang on this Slow ride is heating up! Loved Ronnie and Jack from page one. 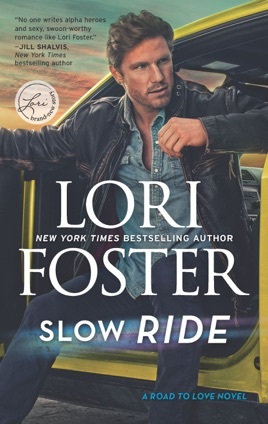 (Well Jack from Driven to Distraction) The chemistry was off the charts and you couldn't help but want Jack to rescue Ronnie when at the same time you want him to let her work it out. Their struggle made the story so much better. Howler and Peanut stole my heart in this story, loved those two. Great read and I continue to love the Crews family!! I voluntary reviewed an Advanced Reader Copy.